1968 was an iconic year. Worldwide, people demanded liberty and equality, and questioned authorities and traditional institutions such as the church, schools, and traditional family structures. People wanted to break with convention and found new creative ways to stress their ideals. In an exceptional spirit of creativity, imagination and determination, people all over the world banged on the doors of those in power and demanded change. Fifty years on, the values people once fought for are under pressure. Equality, freedom of speech, religion or artistic freedom can no longer be taken for granted. In a brand new pop-up museum, the Iron Curtain Project connects the past to the present: what has become of the ideals of 1968 and where can we find the ‘spirit of 1968’, which we need more than ever before? The museum presents personal stories from the generation 1968 from all over Europe as well as new ideas by Europeans for the future of democracy. 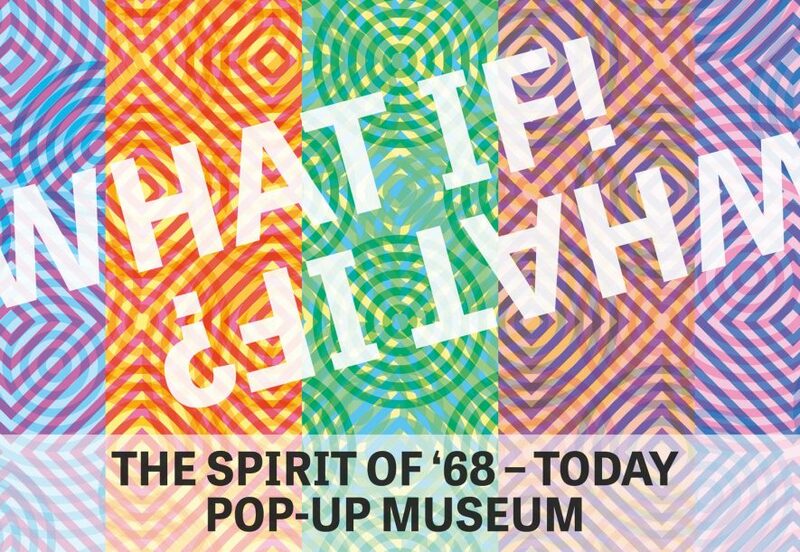 On June 1st at 16.00 we organize a programme The Spirit of ’68 in addition to the pop-up museum. The Iron Curtain project is a multimedia project with online stories on www.ironcurtainproject.eu, and offline events throughout Europe. The project started exactly 25 years after the fall of the Berlin Wall. It investigates how the former Iron Curtain still influences Europeans today.